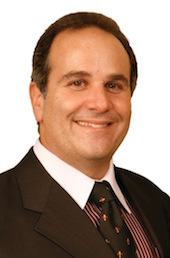 David Weinthal is a NATIVE of SOUTH FLORIDA and a resident of Northern Palm Beach County for the past nineteen years. David Weinthal is continually building strong relationships within our community by volunteering and coaching. He believes in giving back. David and his wife have three sons who attend our local schools. He can direct you to important info on locals schools. David is looking to share his experience regarding market value and trends, along with his invaluable knowledge about our local schools, businesses, attractions and unique communities. David brings a highly successful, personalized and professional approach to all of his clients. He has a unique and broad background in sales, marketing, finance, and management across a number of business verticals. His diverse experience includes seven years as a Bank Loan Officer and Licensed Mortgage Broker with HUNDREDS of successful real estate transactions completed locally. Now David is a full time, well trained & experienced Realtor® with RE/MAX Properties and part of the Thom & Rory Team who have been in the real estate industry since 1996. David offers helpful guidance and valuable local area knowledge, accompanied with all the necessary tools to better assist you in making a thorough and well informed home buying or selling decision. As your Trained Local Buyers Expert focusing on; Palm Beach, Martin and Southern Saint Lucie County areas. Put his knowledge of all phases of the real estate transaction including; purchase, construction, rehabilitation, commercial, and government financing. Whether you are buying or selling, his mission is helping others achieve their goals. If you are a first time home buyer, or a seasoned investor, it would be David Weinthal’s privilege to work with you. Let our stress free approach and comprehensive knowledgeable team help you achieve your goals. Our team has not only has a full-time assistant and transaction coordinator but also an in house mortgage company and title company that makes sure every detail of your transaction is monitored and no details are missed, yet you still get OUR personal service and attention throughout the entire transaction. Working with the trusted, ethical, experienced colleagues on our team will ensure that we are focused on your needs and achieving total satisfaction throughout the entire process.